Netflix's CEO Has Shown Ambition To Put His Company On The Playstation 3. 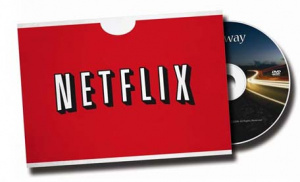 Often touted as the blu-ray beater, Netflix's integration is a trump card for Microsoft. Alas, Netflix are limiting themselves as a company if they are only available on one box. They know that. Speaking with Reuters, Netflix talked about their ambition to be in all video game consoles, "Eventually we want to be on all the games consoles, all the blu-ray players, all the internet TVs. So we are working in parallel with all those efforts. Currently our Xbox deal is exclusive and we haven't characterized it more than that," Netflix CEO Reed Hastings stated. We'll have to wait until that exclusivity breaks before we can get Netflix on our Playstation 3, but it's not looking like that day is too far away right now.